Filed to: Static!Filed to: Static! ....isher season 2… Punisher season 2… Punisher season 2. This is the third week in a row that I have to say this. Activision, stop trying to sell dots for money. 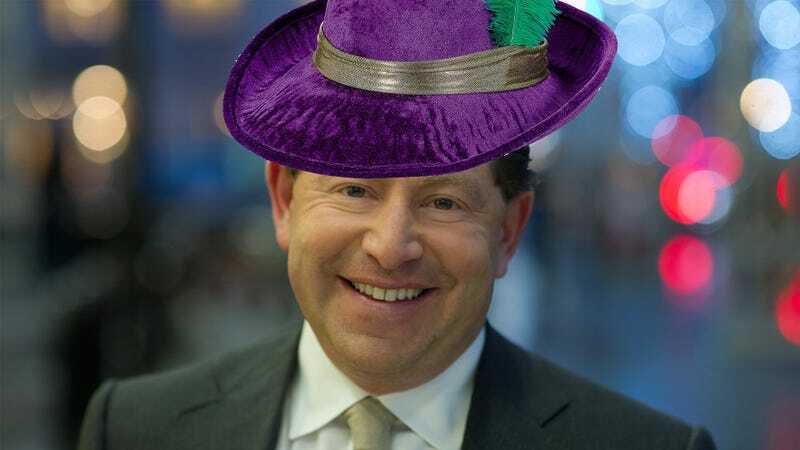 It’s odd that people have mostly forgotten about Bobby Kotick. A man who said that, If he had his way he would charge people more for video games. A man who said that he wants to take all the fun out of video game. Ladies and Gentlemen, I must reiterate: This is a pimp. This is pimping. Which makes it all the more baffling why the head writer of Cyberpunk 2077 would leave CD Projekt Red to join Blizzard. Was the offer that good? Is Activision holding your family hostage? Is there something going on at CD Projekt Red that we’re not aware of? I do remember all those Glassdoor reviews. But even so, Blizzard is looking like a sinking ship right now. With Activision playing the iceberg. Electronic Arts, stop trying to make everything FIFA, stop killing studios like its a bodily function, stop being so dense, stop getting in the way. That pimp hand might look strong to you now, but you’ve been slapping yourself in the face. Growth is nice, but everything peaks, equilibrium is better. People look at you like they look at a virus. You infect gaming studios, deplete them of resources and then kill them. Bethesda, stop, just stop. You only have 10 toes. But you’ve shot yourself in the foot like 7 times now? You’re limping out of Fallout 76. You’re gonna be a quadriplegic by the time Starfield comes out. Enough with the fiddlesticking merchandise. It’s time to just cut your losses and chalk this up as a learning experience. You got enough fiddlesticks all over you. All over your face. But back to EA; Yes, KOTOR 3 is not going to happen. I don’t know how or why exactly, but you know what? Fine. Maybe once Anthem fails they’ll think about it. But I hope they don’t. In fact, they won’t be able to. Anthem is Bioware’s equivalent to chemotherapy. Pump some poison into EA and hope it shrinks. Still, I’d rather not get KOTOR 3 at all if it just means they’re just gonna shovel fiddlesticks into my mouth. I remember when they brought in Anita Sarkeesian. Even if she had any kind valuable information to impart, as unlikely as it may be, why would you tell anyone about it?! Make her sign all the NDA’s. You know full well that people fiddlesticks on her. You come within 10 meters of her, they’re gonna fiddlestick on you by association. Which is exactly what happened. There’s a big difference between a pimp and a con artist. Something the developers of Eximius: Seize the Frontline, Ammobox Studios are very much aware of now. Forget Waldo, we gotta find Eduardo. I love FPS/RTS hybrids. My favorite game of all time is an FPS/RTS hybrid, not an RPG. In fact, my YouTube Channel was originally going to be centered around Battlezone and other RTS Hybrid games. It’s not a very bankable genre, so they got turned down by a lot of publishers, and it’s a shame. I don’t understand how people don’t see the potential in it.